The lyrics of a popular German folksong claim that „a boat-trip is fun“. Saar. It‘s here, at Saarland‘s landmark, that the River Saar can be seen at its most beautiful. 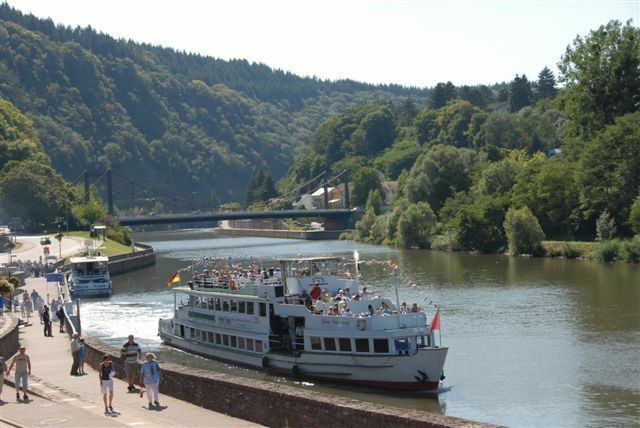 For this experience, you can book either a short boat trip of about 1.5 hours, or, better still, a daytrip on Thursdays or Saturdays from Mettlach to Saarburg. For more detailed information on prices and departures, please contact the provider.